Many people ask me why I dance, and furthermore, compete. I never fail to elicit reactions ranging from mild surprise to dubious shock whenever I answer, “I don’t know, I’m just happy doing it”. 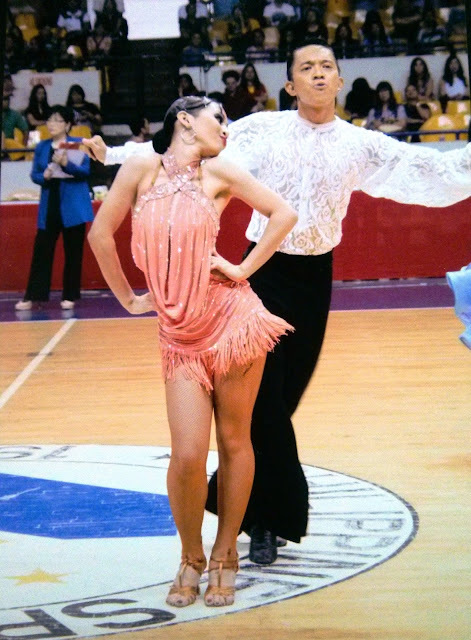 Some even look as if they want to hit me with something blunt and heavy on the head, especially when I point out that about 99% of the time, dancesport athletes don’t get cash prizes when winning in competitions (just trophies, medals, glory, and bragging rights, LOL) and we have to pay thousands of pesos for entry fees. Not to mention the expensive costumes! So why do we waste our time, money, and effort doing this? Imagine a dancer’s life: 2 to 3 hours of intense practice per day, 3 to 5 times a week. After our day jobs, we head straight to the studio, warm-up, perform drills, and practice our routines. 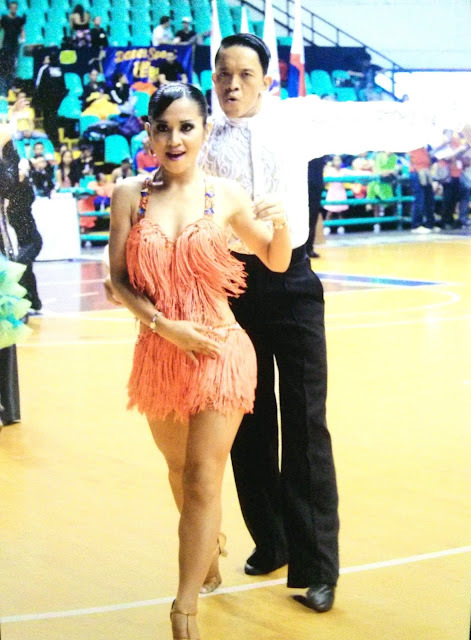 We analyze each step, practice each one with utmost care, making sure all body parts are coordinated, making sure movements flow smoothly—we do this slowly, alone and without music at first, then with the partner, and then with music. When our routines fit the timing well – that is, if our steps are not too fast nor too slow – we begin playing with the timing, stretching out the slow moments, making the fast ones even quicker, creating a more competitive effect. And then we try it with the music again. 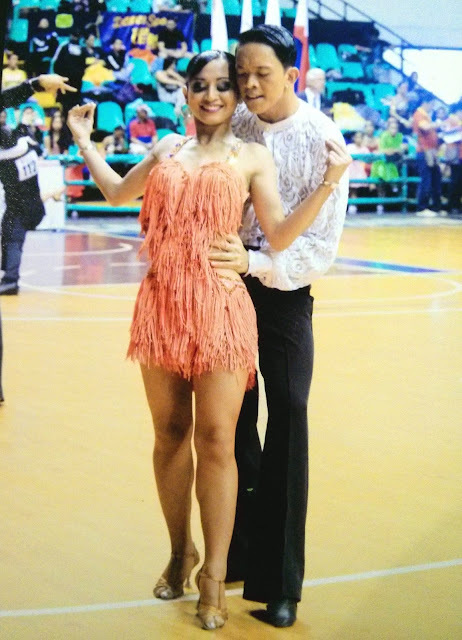 We do this over and over until we have mastered the routine, and then we proceed to another dance, another routine. When we are done mastering and memorizing three, four, or five dances – we proceed with building our stamina. 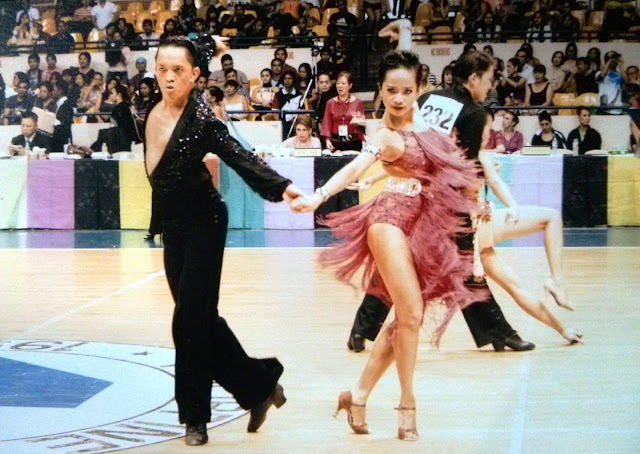 Ever watched a dancesport competition? It’s survival of the fittest. You will be pitted against many other couples, and you have to outlast, outplay, out-dance them all. How do we achieve that? We dance again and again – 10 times per routine, 20 times – with all the technique, power, and speed we have. Until we become stronger. Until we become faster. Until our movements become more fluid. Until we are sure that even if they make us dance 3 routines in 3 consecutive rounds, we won’t be dying on the dance floor! But is strength, technique, and speed enough? What about the art aspect of dance? Are we engaging enough, aesthetically? We look flawless, but do we look elegant, beautiful, entertaining? Are we having fun? Do we look like we’re having fun? Will spectators want to learn to dance as well when they watch us perform? Do we portray the right character of the dance? Do we educe goose bumps? Do we move the audience – to smiles, to tears? And then when we are done with our individual selves, we begin looking at our partnership. Do we move together, do we dance as one? Are our energies the same? Do we complement each other, or look as if we are competing against each other? 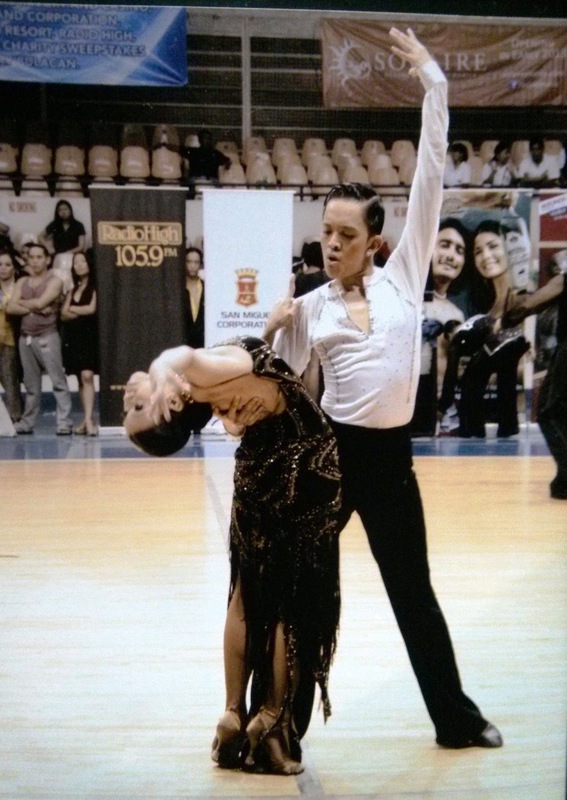 Do we render the real essence of pair dancing: showcasing the man and the woman? All these amidst our regular life: family, love, career, etc. How do we manage? I don’t know if my answer makes sense, but dance itself enables me to manage. Nothing beats the stresses of a professional life better than the sight of a studio filled with dancers, than hearing Latin music blaring from the speakers, awakening my body, making my blood hum. Nothing can equal the happiness I get when I finally properly execute a certain step I couldn’t achieve for weeks and weeks on end, when I can already do something as seemingly simple as to increase my compact spins from two to three. 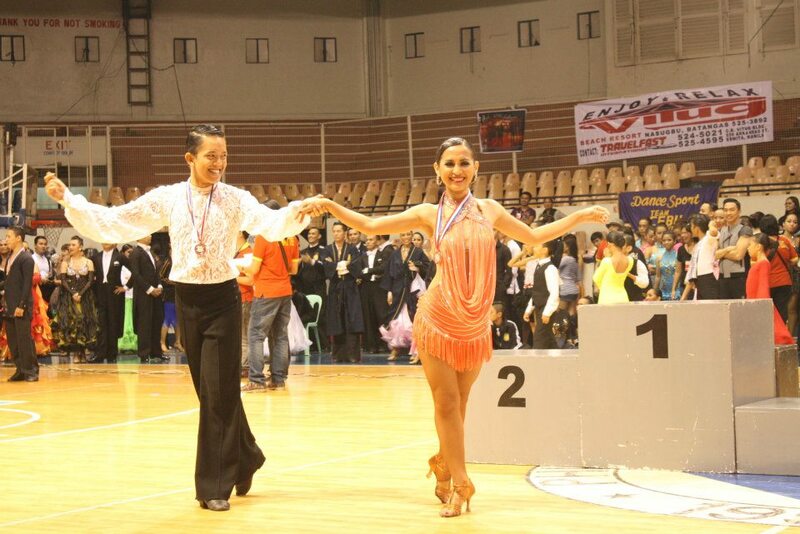 No feeling of bliss comes close to that moment when you step on the platform, with your trophy and medal, getting awarded for a dance well-done! There’s no better heaven than on the floor, dancing like there’s no tomorrow, like my life depends on it, like nothing else really matters. A video of one of my favorite couples, Sergey and Viktoria Tatarenko. This German couple is ultimately one of my sources of inspiration (and dance steps, LOL). I idolize them so much! What do you think? Aren't they INCREDIBLY HOT?? ?